We are proud to invite you to be a part of the only tournament in S.E. Asia to offer cash prizes for Amateur play! In coordination with The Saigon International Football League, Vietnam Referee Association, and Teknofunk Productions we are announcing 2 divisions of play including Open and Masters Categories. The Open category is available to all teams with players age 16+. The Masters category is available to all teams with all players aged 35+. Space is limited and booked on a first come first serve basis. After a great deal of hard work, sweat, and tears of joy, we are happy to announce the details that so many have asked us for. 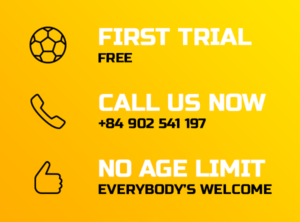 Tournament fee covers pitch rental, referees, water stations on pitch, trophies for 1st – 3rd , Captain’s Meeting, Opening Party allowance, and Awards Tournament Party. It does not cover insurance for any player or spectator on or off the grounds of the tournament and it is advised to have insurance of your own prior to entering Vietnam if you so need it. 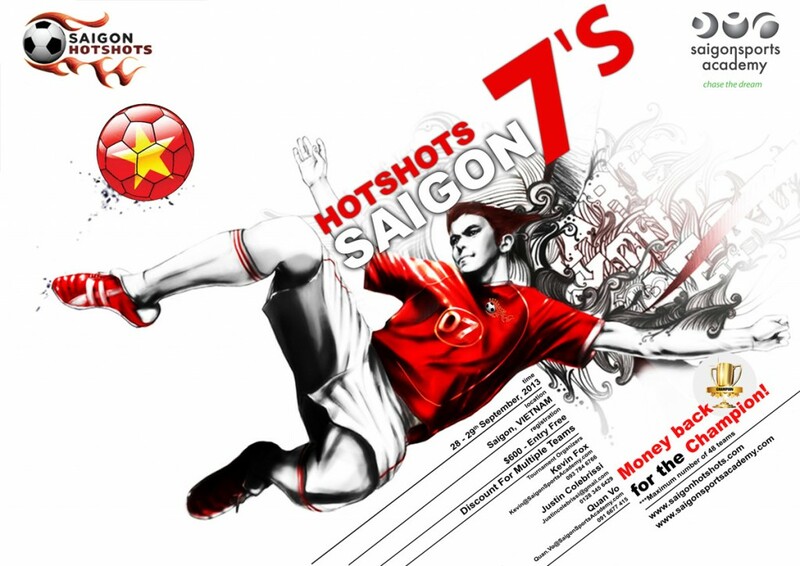 We require a Deposit of 4,200,000 VND/team or 200 USD/team to reserve your slot in the tournament. The open registration payment deadline is July 30th 2013. Teams failing to meet the deadline will be accepted on a first come first serve basis after that until the roster is full. Once your team has confirmed and sent the deposit we will notify your team of the remaining information that is needed for the program and website. The tournament will be held on 4 REAL GRASS football fields of the highest quality available in Vietnam. – At the Fields: Food, Drinks, Music, Lots of Shade, Massages, Product Demos and Sales, Juggle Competition, Speed Tests, and More!! – In the Evening: We have events planned for both Friday and Saturday including parties, bar golf, contests, and extracurricular activities…. events like tours, birthdays, and bachelor parties! – Awards Ceremony: We guarantee the best in the region, something you will be proud to bring home! We will award 1st -3rd place in each division, including subdivisions on Open class. Plus the Winners of the Open and Masters divisions will also receive Metals to wear home! – Team Photos, Video, and interviews from each team! – Full Recap after the tournament! ACCOMMODATION & TRANSPORT: We do have special partnerships with a number of hotels for any budget. Please email us directly for your team needs. We are working with multiple transport companies to offer every size of vehicle if you need, for any length of time, to make your stay as simple and cost effective as possible. If you are looking for regular taxi service we can also help to ensure you have the most affordable rates. A percentage of the proceeds will be donated to Poussières de Vie, French for “Dust of Life”. Congrats on your win in the open tournament in Bangkok this weekend, You mentioned a 7 a side tournament in September as you collected your cup. I’m writing on behalf of Red Star KL the winners of the Vets Cup. I would be interested to know if your 7 a side tournament will have a Vets Cup over 35’s. Minsk FC from Hanoi are strongly considering sending a team. Need to clear something up- when you say you “offer” beer and transport after the tournament, is this included in the registration fee? And over the weekend is there any meals included in the fee? Thanks. Up to 30 teams registered for both divisions….. Its going to be great!! !